Brownie fans will definitely fall hard for our cream cheese brownies. While most brownie recipes call for a heavy helping of butter and sugar, this particular recipe calls for cream cheese and V­anilla Bean Greek Yogurt instead. Adding cream cheese and yogurt helps to keep the brownies moist and flavorful and cut down on the total amount of butter in the recipe. The end result is a brownie that’s truly delicious but also relatively light. If you’re on the hunt for a dessert to whip up for a family dinner or get-together, you should definitely try out this recipe. If you think your friends and family might enjoy this recipe, please share it on Facebook, Pinterest, Twitter or Instagram. 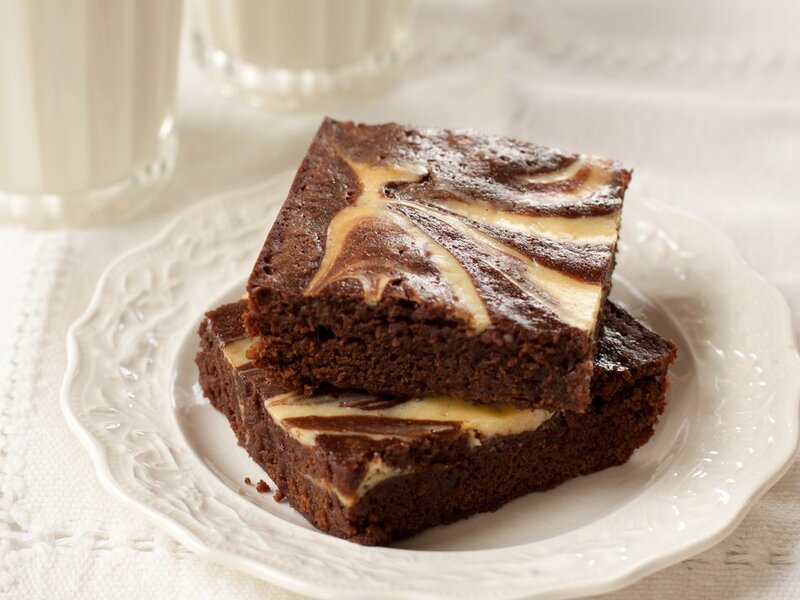 Interested in trying out this cream cheese brownies recipe? It only takes about an hour and a half to prepare and bake everything. 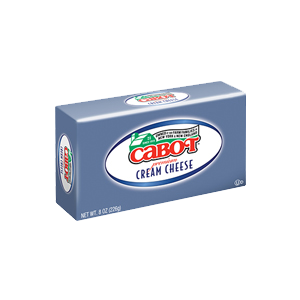 For the cream cheese mixture that will be added to the brownies, you’ll need Cabot Premium Cream Cheese, Vanilla Bean Lowfat Greek Yogurt, sugar, and an egg. For the brownies, you’ll need all-purpose flour, baking powder, butter, unsweetened chocolate, sugar, Vanilla Bean Lowfat Greek Yogurt, vanilla extract, and four eggs. The directions below highlight everything you need to know about making the brownies, but remember this tip: when checking to see if the brownies are done, insert a toothpick into the brownies. If the toothpick has raw batter on it, then the brownie needs to bake a little longer. We hope you enjoy our Cream Cheese Brownies. Interested in trying another chocolate-themed dish? Please give our Chocolate Layer Cake with chocolate frosting a try—we know you’ll love it! Cabot is a cooperative of over 800 farm families. We take a great deal of pride in our dairy products. We’re positive that you’ll love any dish that features our award-winning cheeses, yogurts, and other dairy products. We’d love to hear your thoughts about this particular recipe. After making the brownies, please rate and review them. We can’t wait to check out your feedback! WHISK together cream cheese and yogurt in a small bowl until completely smooth. Add sugar and egg yolk and whisk again; set aside. COMBINE butter and chocolate in large heat-proof bowl; set over saucepan of barely simmering water and stir often until melted and combined. Remove from heat. Whisk sugar into chocolate mixture, then whisk in yogurt and vanilla. Add eggs one at a time, whisking well after each addition. Whisk in flour mixture until well blended. SCRAPE batter into prepared dish. Spoon dollops of cream cheese mixture on top and swirl with spoon or spatula to create marbled effect, reaching down into chocolate batter and not overdoing it. Love this take on a lightened up version of BROWNIES! 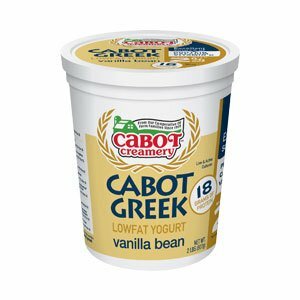 We love Cabot Greek Yogurt too. Great for just eating or substituting when baking or cooking.